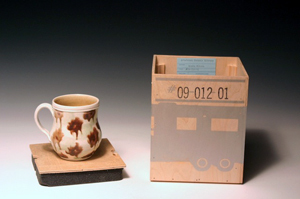 Matthew Metz has been a making his living as a studio potter for the last 25 years. 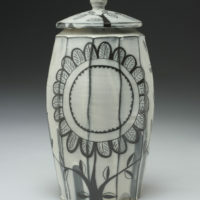 He shares a home and studio in Alfred Station, NY with potter/educator Linda Sikora. 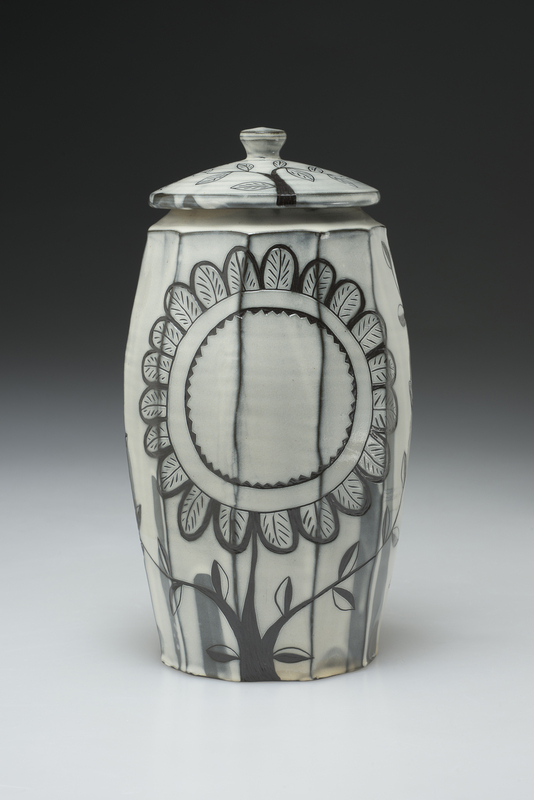 Awards include a NEA Crafts Fellowship, and two McKnight Fellowships. 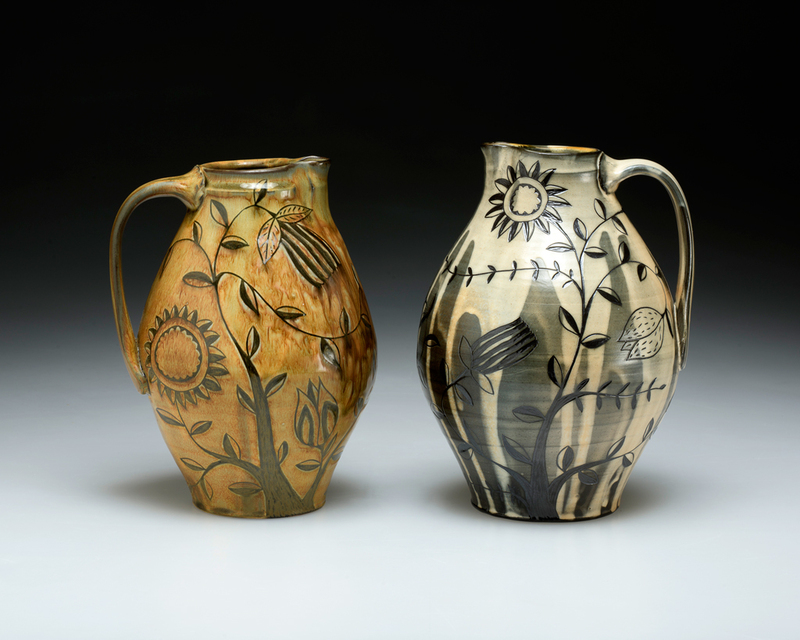 He shows and sells his pottery throughout the U.S. and internationally- including the St. Croix Potter’s tour, the Old Church Pottery Show, and the Philadelphia Craft Show. His work is in numerous private and public collections including the Philadelphia Museum of Art and Minneapolis Institute of Art. Matthew received his B.F.A. from Ball State University, and an M.F.A. from Edinboro University, and was a resident at the Archie Bray Foundation from 1989-1991. 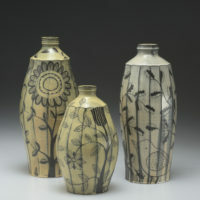 For me, the process of developing my own voice and work in pots has been intuitive, personal, and situational. 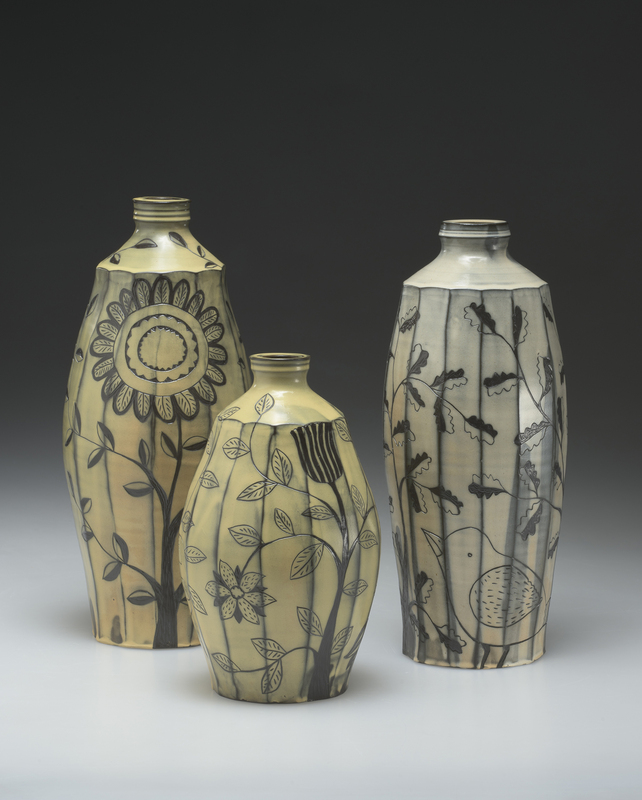 Whenever I speak about my work and my life, I express the caveat that while a full time studio potter, I don’t have a broad philosophy that I project outside of my own daily experience. The work comes from my own history and interests, and the places that life and work have lead me. It comes out of my own tolerance for a certain sort of labor, maybe like knitting or quilting, whose repetitive pace might drive another person batty. The work changes through baby steps rather than heroic struggles, which, again, is my preference given my personality. 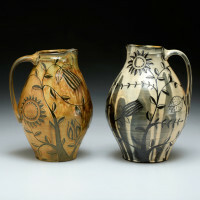 I have had an ongoing passion for the history of pottery. 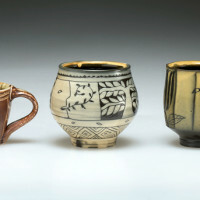 I relate to the description of our process in pots as personalizing a riff on something recognizable –like a musician playing a standard song in their interpretation. The tune you know leads you into a new experience; gives you a way to enter. There’s a pleasure to that recognition, and pleasure is primary in my work. I once said to a good friend, whose work I admire greatly, that his work was like someone shaking your shoulder and saying, “wake up and see this ”, while mine says “here, sit in this comfy chair, and have some cocoa.” This is obviously hyperbole but a lush and pleasurable richness is what I aim for.